I love, love, love this quote! In the past caring for myself fiercely has meant taking care of myself on the outside – my exercise, food, sleep, relaxation (still so important) yet now it’s taking the shape of taking care of myself on the inside. Especially taking care of the parts of myself I DON’T like. Self-compassion is teaching me this fierce and radical act of self-care. I’m a pretty reactive person and have never liked this about myself, I don’t like lashing out, hurting others and despite my years of mindfulness practice I’m still a pretty reactive person, it just seems to be part of my make-up but the major change now is how I relate to that so that when it comes up instead of judging myself or ignoring it or blaming someone else for it, I’m actually really able to own it. When I feel shame about being reactive then I hold shame like a small child in my arms and I cradle my shame, I don’t try to get rid of my shame, the shame is there and I open my heart to myself in the midst of my shame and what that means is that it doesn’t knock me off course, sometimes I do need to apologise, in fact if I have been a little too reactive I’m very quickly able to apologise. I’m sorry I was reactive; and I’m always able to get back up again and keep trying so that I can live with this side of my personality – and it’s getting better over time. Yet the paradox is also that our weaknesses are also quite directly connected to our strengths. My reactivity in some circumstances allows me to be tenacious, to stick to an intellectual problem until I’ve nailed it; so the energy behind my reactivity is actually very effective in some circumstances so I don’t want to get rid of it entirely. I’m learning to have some balance with this quality over time, it is shifting and changing but wherever I’m at with it at any moment in time it’s okay. I’m learning that self-compassion doesn’t mean the patterns of my life laid down in my early years will actually go away but they have softened and mostly the shift has been they don’t debilitate me the way they used to. So I’m noticing that some of these patterns and parts of myself that I don’t really like may be life-long, that’s been hard to take in. I always hoped that if I just found the right practice or path or trick they would be put behind me. What I’ve found it that they do soften, get a little better, but mostly they’ve become not so debilitating and I’m able to relate to the pattern itself with kindness and compassion. 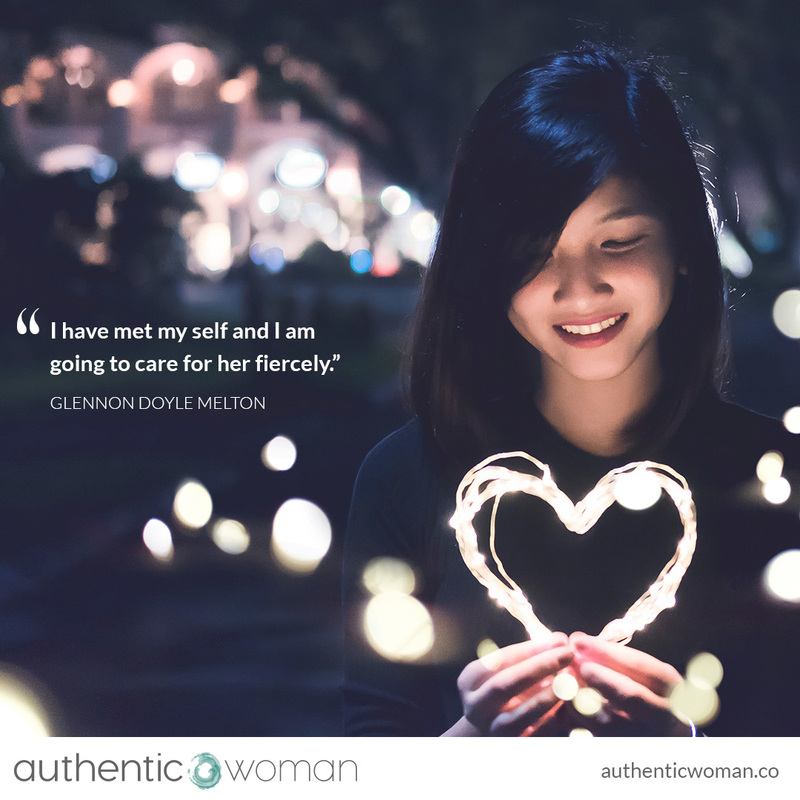 In some ways I think fiercely caring for myself is about becoming a compassionate mess – we can all do this, we can’t get rid of the messy parts entirely but we can all become a compassionate mess and this offers the strength and resilience we need to get through our struggles and then to heal and bounce back. That little over-reactive two-year old in me will likely be with me till the day I die and that’s okay. I’ve learned to be a compassionate friend with her. Be a compassionate mess is a radical invitation that asks: how are you really and can you hold all of it in a compassionate embrace? And then see what happens because actually what happens is we start to change in a really beautiful way that has a kind of organic unfolding quality. May we all care for ourselves fiercely, especially our messy parts. Can you relate?